By all accounts, Secretariat was the greatest racehorse in the sports history, a dominant stallion who capped his dramatic Triple Crown by winning the Belmont Stakes by 31 lengths. If only the film version of his career had been half as good as he was. Disney has been specializing in “based on a true story” sports dramas for a while now. In the last decade they’ve given us “The Rookie,” about high school science teacher Jim Morris, who broke into major league baseball at the age of 35, “Invincible,” about Vince Papale, who earned a spot on the Philadelphia Eagles as a 30-year-old walk-on and “Miracle,” about the 1980 U.S. Olympic hockey team. Each of them succeeded in their own way in getting you caught up in the human drama of sports. And maybe that’s what’s wrong with “Secretariat.” It’s about a horse, a truly great, once-in-a-lifetime horse, but still a horse. Of course there are the people around Secretariat who helped him along the way, but trainer Lucien Laurin (John Malkovich) was already a legend in racing circles when he met Secretariat, owner Penny Chenery (Diane Lane) was the daughter of a millionaire and the wife of a successful lawyer, and jockey Ronnie Turcotte had won roughly two dozen major races when he and Secretariat first crossed paths. This is not to take away from any of their accomplishments, particularly Chenery’s, who was clearly a woman who overcame all manner of sexism and gambled mightily on herself and her horse. But it’s not like any of these folks were teaching chemistry, tending bar or winning the Cold War. What about “Seabiscuit?” you may ask. Well, what about it? Seabiscuit captured the imagination of the country during the Great Depression and was a true underdog, as were his owner, rider and trainer. 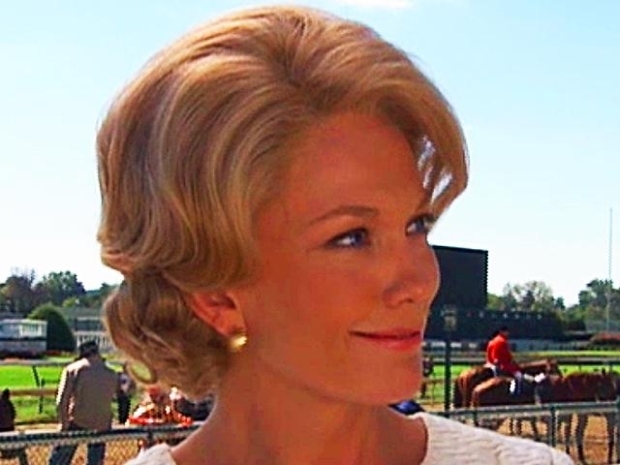 Actress Diane Lane discusses what it takes to play the owner of the greatest racehorse of all time, Penny Tweedy Chenery, in her latest project, "Secretariat." With bad dialogue comes, at best, uninspired acting. There’s been talk of Lane getting an Oscar nomination, which has to stand as one of the great mysteries of 2010. Her performance is loaded with moments reminiscent of Vivien Leigh in “Gone With the Wind,” (this is not a compliment) where she lifts her chin and makes some proud declaration. Even by the standards of Disney, it's a wildly hokey affair, absolutely dripping with schmaltz. Malkovich provides the only real fun in the film, playing the French-Canadian trainer Laurin, who “dresses like Super Fly.” But it’s nothing special, just a great old actor chewing a little scenery for laughs. The most peculiar choice made by director Randall Wallace (the man who wrote “Braveheart”) and screenwriter Mike Rich is not starting Secretariat’s Triple Crown run until past the half-way mark. The race scenes are awesome, with mud flying, thundering hoof beats and mercifully judicious use of slow motion, but they almost feel like an afterthought. Worse still, instead of watching Secretariat win The Preakness, we watch Penny Chenery’s family watch it on TV. 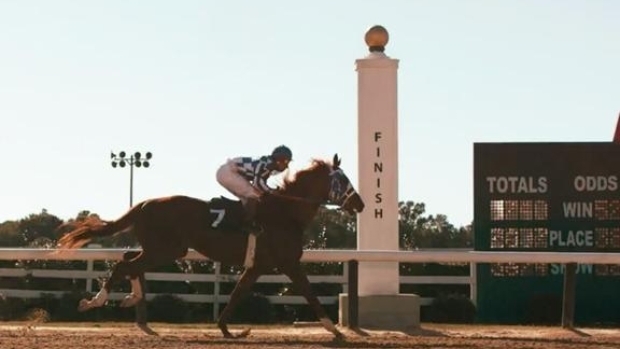 “Secretariat” has been hailed as this year’s “The Blind Side,” and that seems fair–-a couple of plucky, privileged Southern blondes helping humble athletes achieve greatness. If you liked one, you’ll probably like the other. It’s got nothing but positive messages: follow your dreams, never give up, believe in yourself... But it’s all so artlessly rendered and so much drama is left on the table that it’s hard to get swept up in the whole thing.